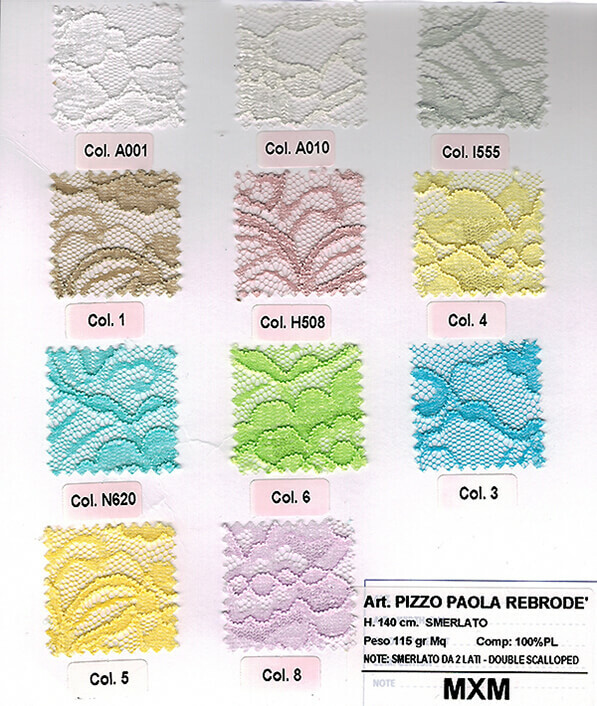 Qualitis: lace, chiffon, glitter fabrics and imitation leather. 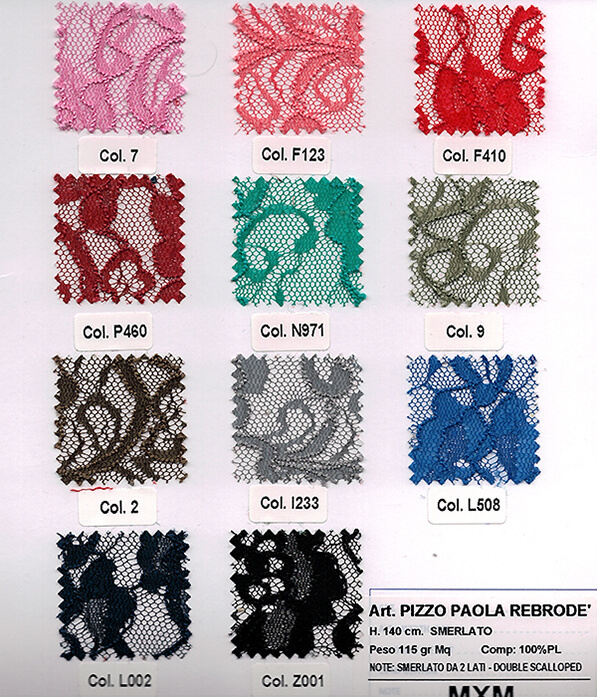 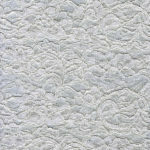 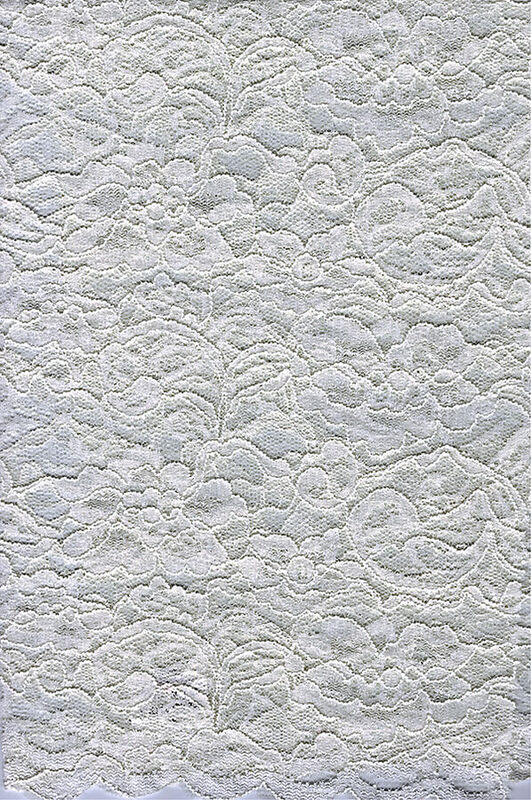 Lace, hight: cm 140, weight: gr.mq 115, composition: 100% polyester (PL), piaces from 25/30 mts. 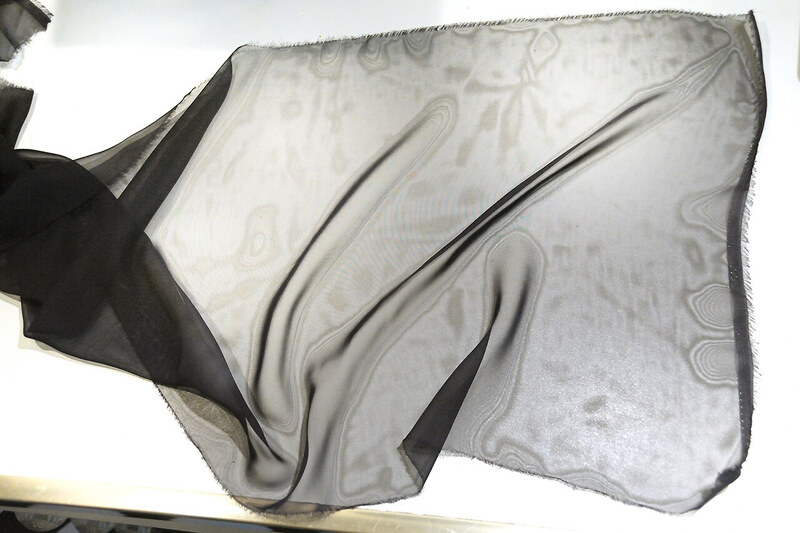 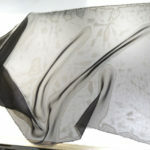 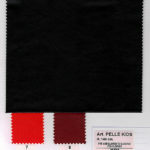 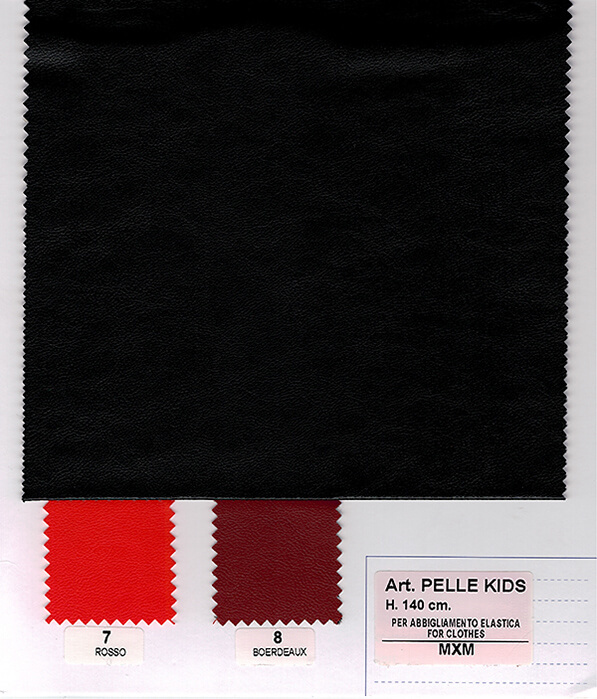 Chiffon, color: black, about 2.000 mts. 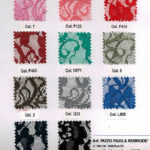 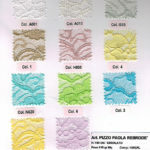 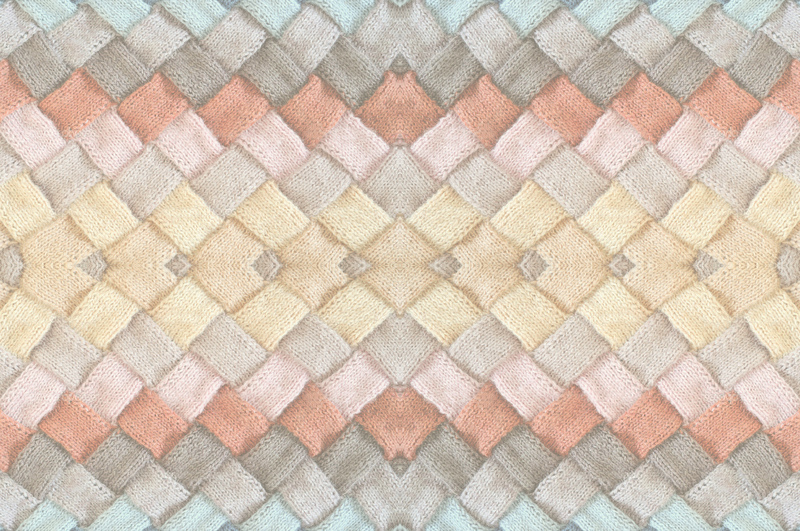 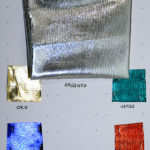 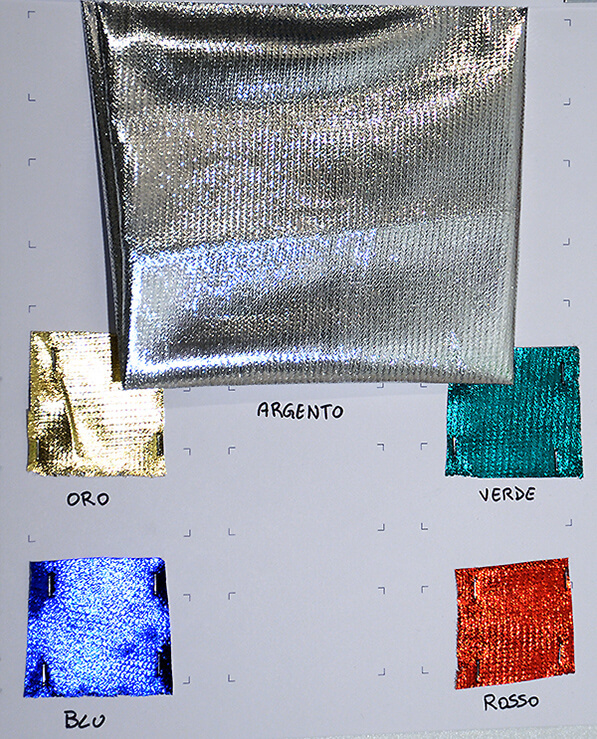 Glitter fabrics, color: gold, silver, green, red and blue, hight: cm 150, piaces from 25/30 mts. 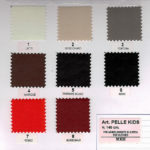 Imitation leather, color: milk, beige, taupe, brown, dark brown, black, red and boerdeux, hight: cm 140, piaces from 25/30 mts.